Feature: What Can We Expect From Eurovision 2018? The Portuguese are attempting to put a focus on simplicity, especially after Salvador’s now iconic works, ‘music is not fireworks, music is feeling’ however it seems that this year’s competitors and their delegations think otherwise. It’s clear that having props on stage is definitely not something new, but this year we seem to be seeing a lot more of them. Not even just across the board, but in each performance, we’re seeing not just one core prop but various props within the same performance (yes Finland, we’re looking at you!). Instead of counting the nations that do have props, it would be simpler to name the countries without props, but for the nations who have chosen a simpler route to their stage performance, often there is still some sort of choreography to accompany the performance. Either that, or we’ve also seen a fair few camera after effects, or projections which is definitely something that’s growing in popularity within Eurovision stage performances. So is this a good or a bad thing? Well, it seems to depend on the song. 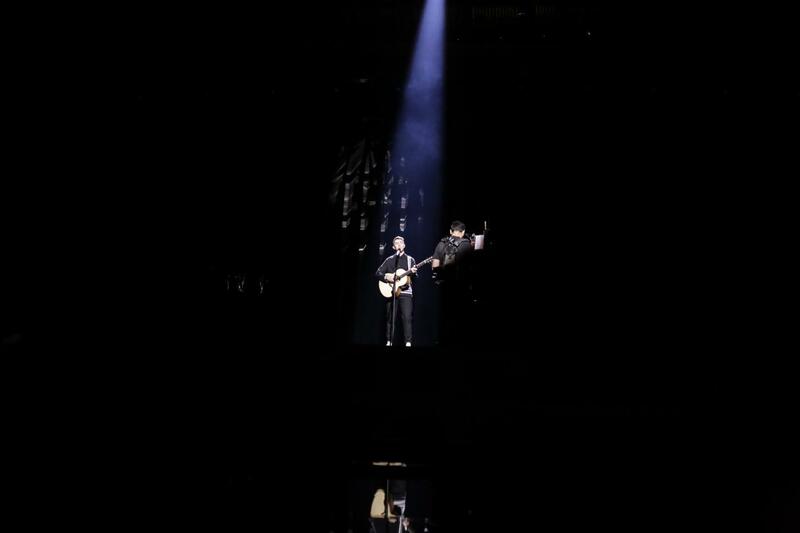 Having watched the rehearsals live from the press centre, in certain songs the use of props, projections or choreography lifts the performance to a new level. For others, it creates a messy stage performance, and then for some, it unsuccessfully covers a deeper problem with that being an issue with vocal performance or perhaps even a weak song. So who does it well? From the first semi-final, I believe that Estonia, Austria and Armenia have the best use of props. To give some context for those who don’t yet know, Estonia’s artist Elina Nechayeva will be performing her song in a beautiful dress which spans over a significant part of the stage, and the uniqueness of this dress is that it features a range of projections throughout the three minute performance. Considering the song is an operatic pop song, I think that this stage performance adds to the grandeur of the whole package, and without it, the performance simply wouldn’t be as impactful. In terms of Austria, it’s quite a simple stage performance. 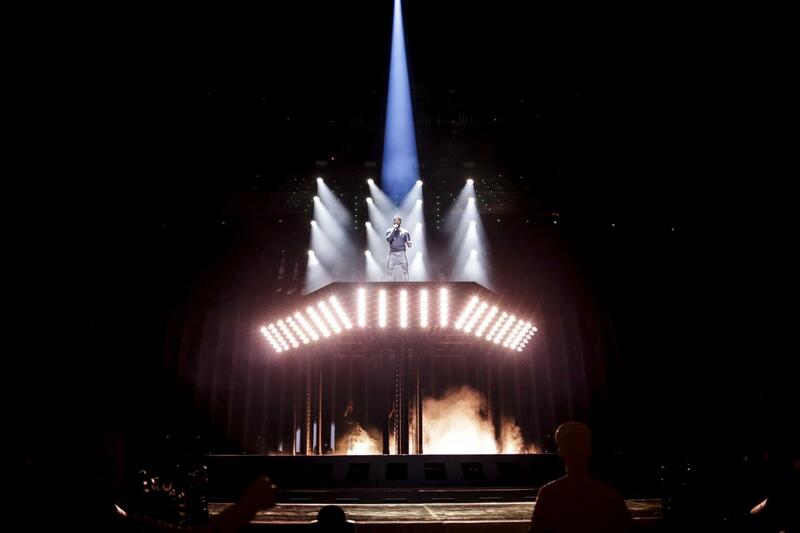 The appeal in their performance for me is the use of the stage platform, which raises above the normal stage level and so we see Cesar Sampson raised into mid-air. This is the big prop, there is no added gimmick, so compared to other stage performances, Austria’s stage performance is understated but also visually impressive. Finally, Armenia is in a similar field as Austria, and their performances are actually similar in nature. Sevak features just one prop on stage, which is a series of blocks on stage place in a circle, and we see Sevak perform in the centre. With such bombastic use of props this year, it’s these simple performances which will perhaps stand out more, including this entry from Armenia. From the second semi-final, perhaps the best use of props would include Norway, Moldova and Sweden. For Sweden, we all knew what was coming. 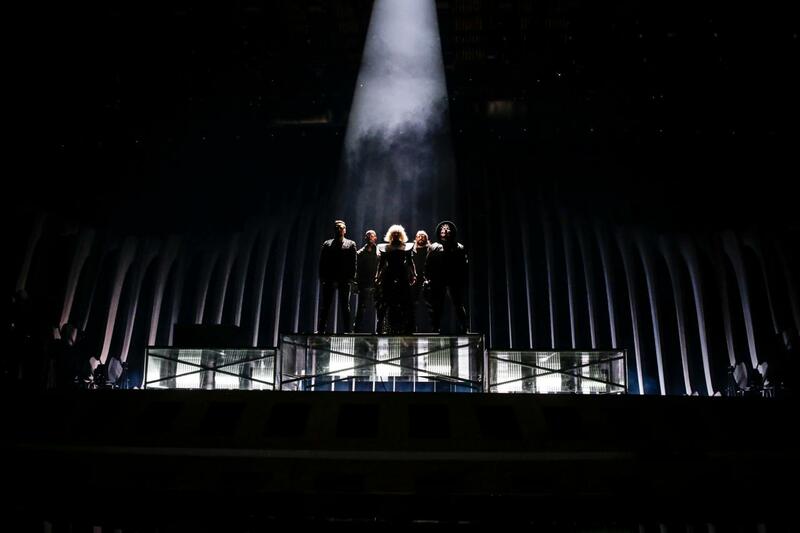 They have been criticised this week for essentially bringing their own Eurovision stage to the actual Eurovision stage, but realistically they’ve created one of the best stage performances in recent history. It’s contemporary and memorable, and that will ultimately work in their favour. 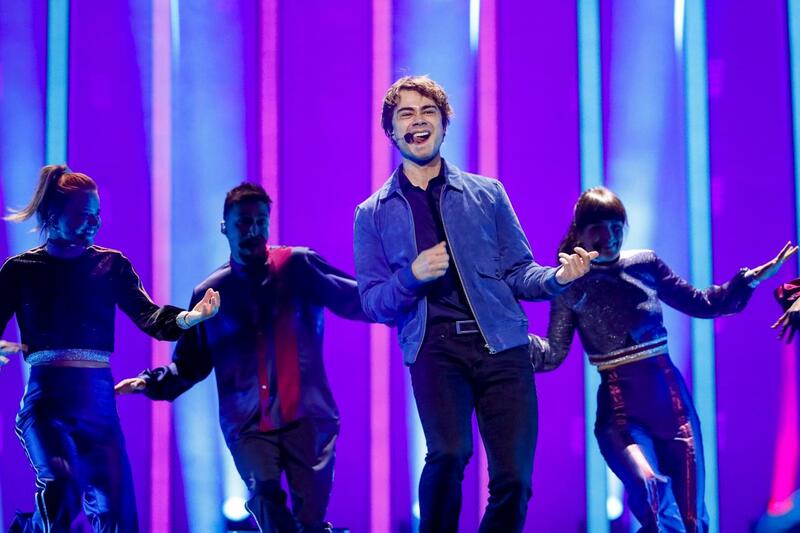 The Moldovan team definitely need to be congratulated as well, as they’ve successfully used props to cover the fact that they had a song that on its own would have had to really fight for a place in the final. Now, we think that Moldova will comfortably qualify to the final, and perhaps even finish in a high position in the final. This is not down to the song, nor the vocals, but purely down to their use of props in their stage performance. Lastly for Norway, their prop is actually projections, and we saw this same technique used in the national final. It’s certainly cheaper than bringing a whole load of props to Eurovision, but essentially just as effective, if not more. To see Norway shoot up the odds table, you know that it’s certainly related back not only to the vocals and the song, but certainly to the stage performance which is well and truly one of the better performances we’ll see this year. Who doesn’t get it right? There are a handful of nations this year who are definitely attempting a bit too much on the Eurovision stage. Ultimately the stage performance is there to lift a song from being just a song to a complete stage performance, but with the overuse of props, it has the potential to overshadow what is often a decent song. The big offenders this year are Belarus, Finland, Malta and Ukraine. For both Belarus and Ukraine, I perhaps think they were on a good path, but added one or two unnecessary elements, and the result of that is that their stage performances have the potential to come across as too gimmicky or tacky. As for Malta and Finland, they are really just throwing everything at these performances and it’s unfortunately cancelling out the good songs that are behind them. Instead of having one or even two core prop elements, they are both attempting too many things within the 3 minute, and it’s truly an assault to the senses. If we take Cyprus for example, the big focus is on choreography, and although they also use projections, the overall effect is successful. On the other hand, with Finland and Malta, we’re getting props, we’re getting choreography, and we’re getting projections. It’s just too much. 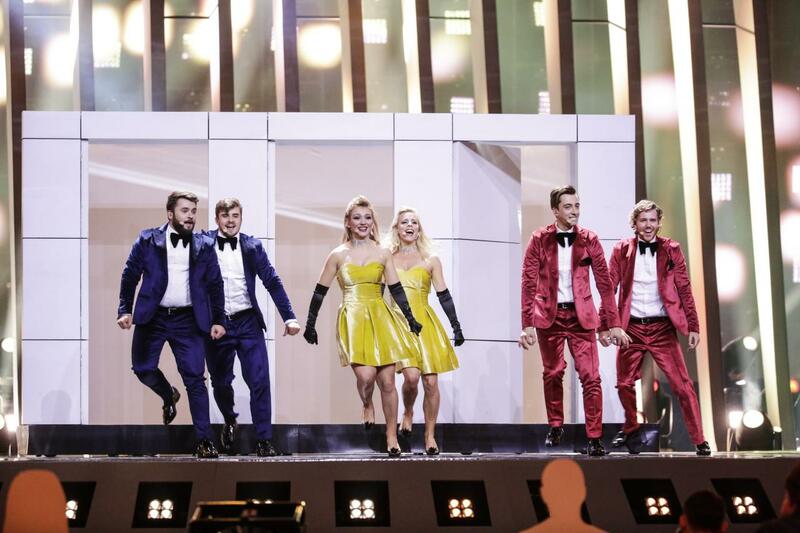 In fact, I enjoyed their rehearsals but felt that desire to just take away a couple of elements, for example, Malta can do without the projections, and Finland could do without at least one big prop. These performances will not lose anything by removing some elements more than they will gain from it. Over previous years we have definitely seen a lot of blue lighting, but it’s becoming very clear that blue and purple is the 2018 colour theme that a lot of countries have opted for. If we look into colour psychology, it is clear that blue is preferred for its ability to calm, but in the Eurovision context, performances using blue definitely come across on camera slightly better than those using warmer colours. Some of the big favourites have chosen the hot colour combination for their Eurovision performance! Lighting is definitely important to a stage performance, but in the context of the complete semi-final or final, if we’re seeing too much of the same, it can detract from the diverse music we have this year. This could be the case, and it could actually influence who will qualify and who will not. Will all the performances start to look the same with all that blue and purple? If we look back over the Eurovision performances from recent years, we would see that majority of the performances feature a lot of bright lights. Very rarely do we see performances which are dark, with minimal use of lighting but very strategic use of lighting. Because it has been a rarity, when nations did choose to use a dark staging, it stood out. Probably one of the best examples is MaNga from 2010, who ended up in second place with an incredibly dark stage and strategic use of lighting. This year, we’re seeing a lot of darkness. When the stage isn’t lit in blue and purple, we’re seeing that a lot of faces are being covered by this darkness. For certain songs, I understand that the darkness is there to create tension and a mysterious vibe, but when we can’t see the artist’s face for an entire three minutes, it limits our ability to connect with them. Where are you? I can’t see you? In certain songs this strategy does work, for example for MaNga, and this year, Bulgaria’s style of song suits the dark staging well. Perhaps an example of where it isn’t coming across as well is in the Irish performance, which is beautiful but to some extent the intricacies of the performance are lost in the darkness. In previous years, we’ve been able to more confidently say ‘winner alert’ but this year is still very much an open book. Even amongst the press centre, there is no consensus on who will take out the top position, and this has become even more confusing now we have seen the rehearsals. We are seeing the odds change daily, and they will probably continue to do so until the final moments. If you want to place a bet on who will win Eurovision, this makes it a bit more complicated. If you like a close competition, we think you’ll enjoy this year. In fact, there are various songs which are winning material, and interestingly they are all such diverse genres of music. Who will win? Well unfortunately we’ll have to wait to see the results come in! 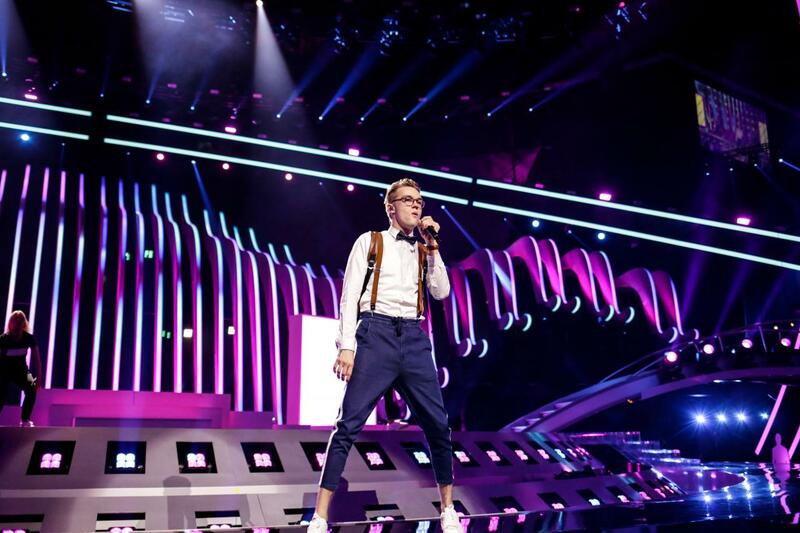 All photo credits go to the eurovision.tv team. Rehearsals Day 6: Here’s the Schedule!